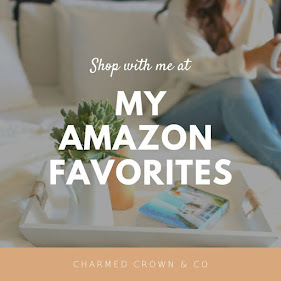 This is a first for me, recommending holiday must have's plus my Friday Favorites that I tend to post from time to time all in one but I thought it'd be fun to recommend a few fun items for the Fourth of July, which is soon to be here. I wouldn't call myself an expert shopper but I definitely love a good bargain when I see one and if its something that is of good quality, or simply good quality for the time being at a GREAT price then I'll definitely recommend it. These are a few of my faves you can wear or have in hand as a hostess. I'm a fairly simple girl nowadays when it comes to holiday wear, I like to be comfortable and casual. I usually like to pair up a pair of jeans or shorts with a cute red, white and blue themed tank. This year I'm excited to wear my FIFA Racerback for the Fourth of July! Representing our #USA Women's Soccer team! Plus I like to have just a few things to make the holiday pop in our table scape such as festive napkins and fun colorful desserts. These items are super chic and super fun at a super affordable price that will give your holiday that festive pop of color! I for one love to see our country celebrated to the fullest, seeing our flag flown with pride and everyone come together to celebrate the beauty of it. But safety first, enjoy the holiday!